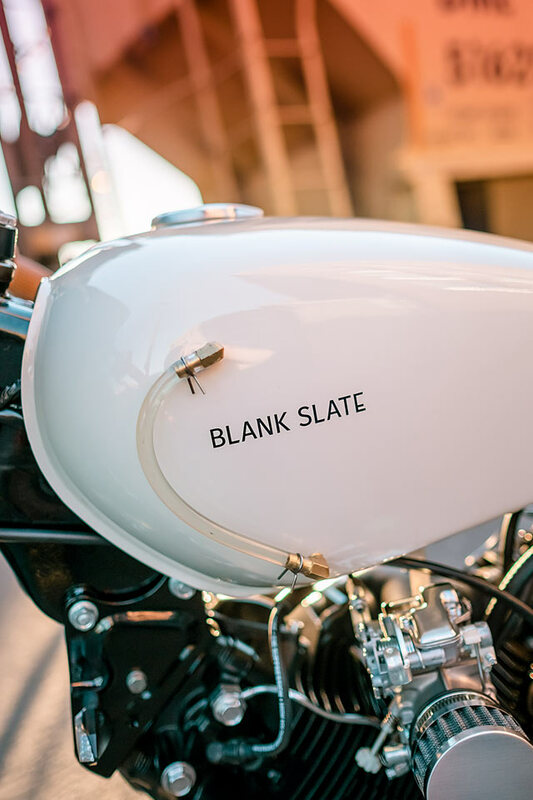 “This bike was my first commissioned build as Blank Slate Cycles”, says Darrick. 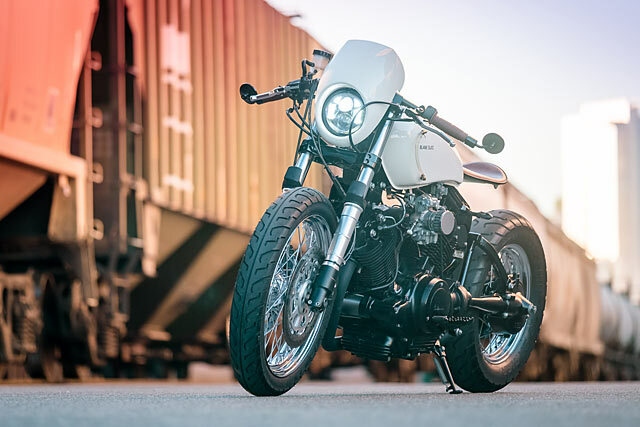 “And despite the customer only having a very limited budget, I think it turned out really well.” The customer’s shopping list required that Darrick build a v-twin bobber with a traditional, tractor-style seat and a touch of cafe racer. ‘A Harley!’ cried Darrick, until the client started to discuss budget. “Unfortunately, it was way too tight to start with a HD. Luckily for me, this meant I finally had a reason to build a bike I’d been wanting to build for several years; a Yamaha Virago”. 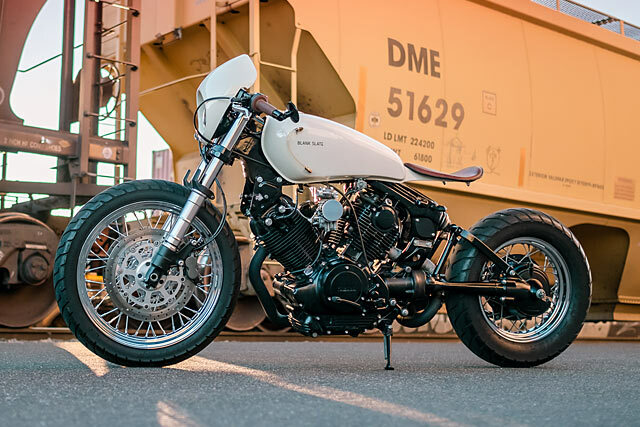 A few weeks later, Darrick was able to find himself a low-mileage ‘82 Virago XV920 that had been sitting around in someone’s backyard shed for quite a few years. 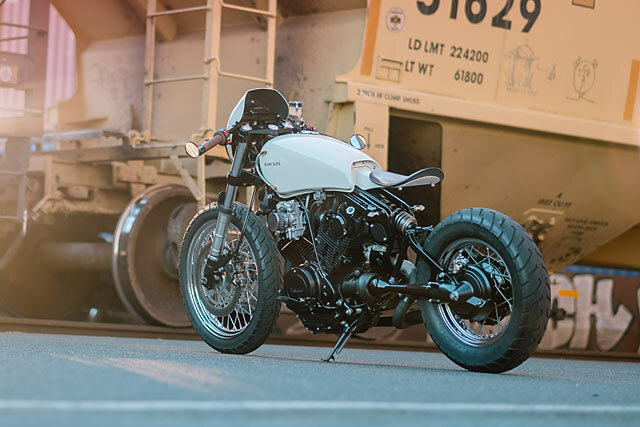 “Once I got it home, I stripped it down to the frame, motor, and swing arm. Pretty much everything else went straight in the recycling bin”. The bike’s original forks have been replaced with the front end from a 2002 Triumph Speed Triple. The front wheel is a 19″ Harley wheel, outfitted with 320mm rotors from a Suzuki Hayabusa that mount up thanks to custom-machined adapters. Talk about cross-brand pollination. The rear wheel is a 15 incher from a Virago XV535 that was machined to accept the drive flange from the XV920 and you’ll find Shinko 712 tires at both ends. Once the bike was a roller again, it was time to build the cleverly engineered support for the seat. “With help from my friend Rob at Flipside Customs, we were able to come up with a beautiful solution for mounting it. When you ride the bike, it looks like you’re just floating along behind”. 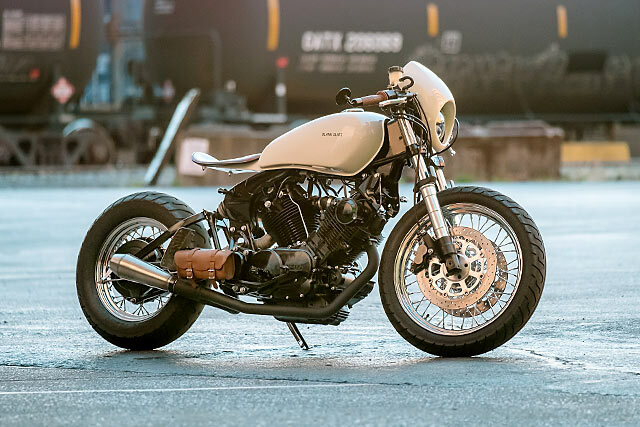 The Virago frame has been modified to allow an 8-cell lithium battery to be hidden under the Xv750 tank, along with the rest of the bike’s electronics. 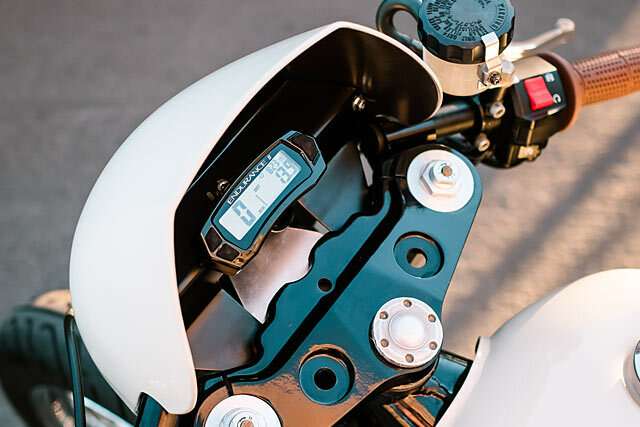 All of the lighting on the bike is LED, so the 8-cell lithium battery delivers enough of those cold crankin’ amps to get the thing started reliably. 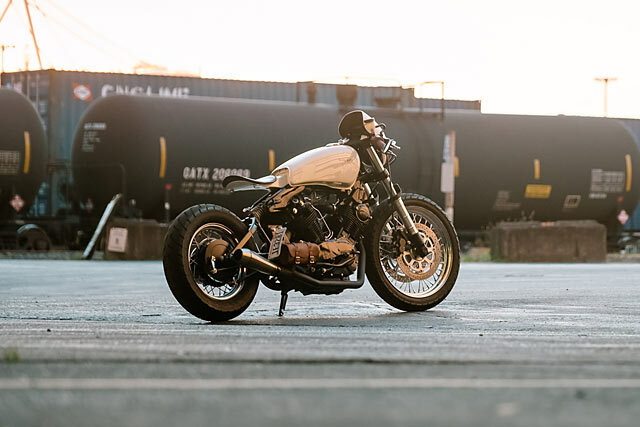 “Once the fab work was complete the tank, subframe, and the Sportster fairing were sprayed with a Mini Cooper ‘Pepper White’ paint while the frame, engine covers, swingarm, and all the other assorted bits and bobs were treated to some black powder coating”. “When it came time to re-assemble the bike,” says Darrick, “The first order of business was an all-new wiring harness built from scratch”. When the Virago came out, it was a bit of a technological tour de force, with it’s digital dash and electronic ignition. “33 years later, and it’s a bit of a pain; if you need to replace any of those fancy electrical parts, good luck”. So the Yamaha factory ignition was scrapped in favor of a self-contained digital unit from C5 Performance. “Now it starts and idles like a modern bike; it’s given the bike a new demeanour. The ignition key has also been replaced by a Motogadget M-Lock to really bring this old girl into the future”. 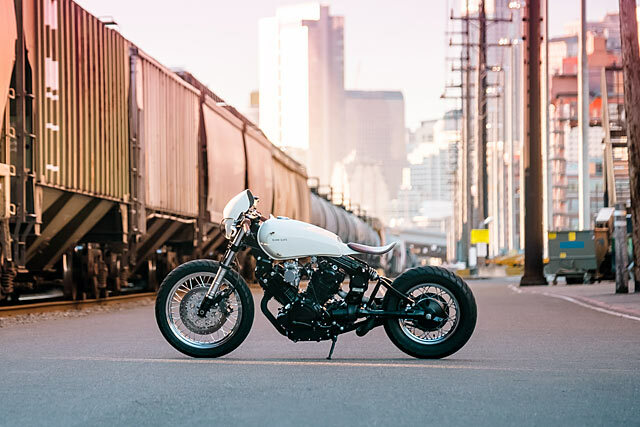 “I couldn’t update the ignition system and leave the finicky Yamaha factory Hitachi dual carb setup in place, so those were ditched in favor a single Mikuni TM40 carburetor”. Once the engine is done with the fuel from the Mikuni, it’s sent through a 2:1 reverse megaphone setup that was sourced from local shop, Niche Cycle. “The owner is a mother of two crazy kids, and this bike is her way of escaping when time allows to go blast around Arizona”. “The bobber is an absolute blast to ride and it handles great. I’m sure someone will complain that it doesn’t look very comfortable (and they’d be right), but it wasn’t built for all-day rides. The owner is a mother of two crazy kids, and this bike is her way of escaping when time allows to go blast around Phoenix, Arizona for a bit of alone time’. Darrick recounts that the hardest part of this build wasn’t the creation of the bike itself, but getting the thing to run right. “Switching to a single carb presented a lot of tuning challenges. The cylinders on the Virago are offset, so the intake runners are different lengths, and it was quite difficult to get a good mixture in both cylinders”. 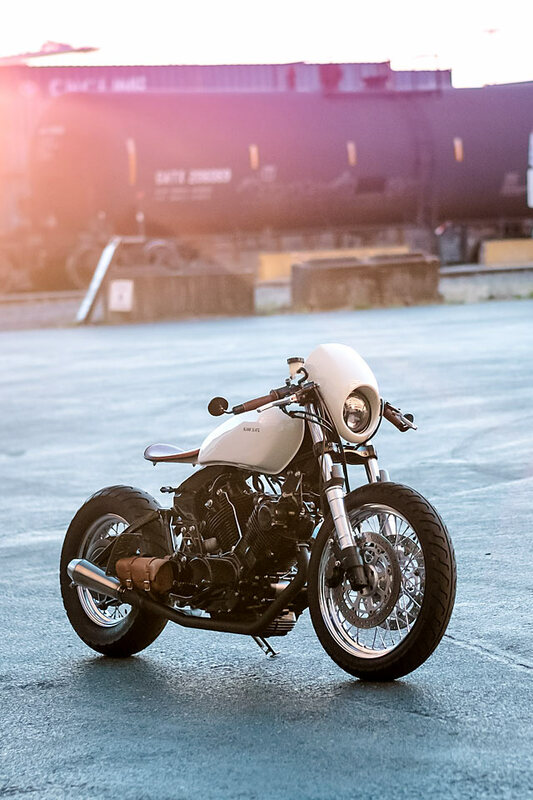 “Despite having the ‘bobber look’ and a rawness to it, I didn’t have to make functionality or safety trade-offs to get that feel. 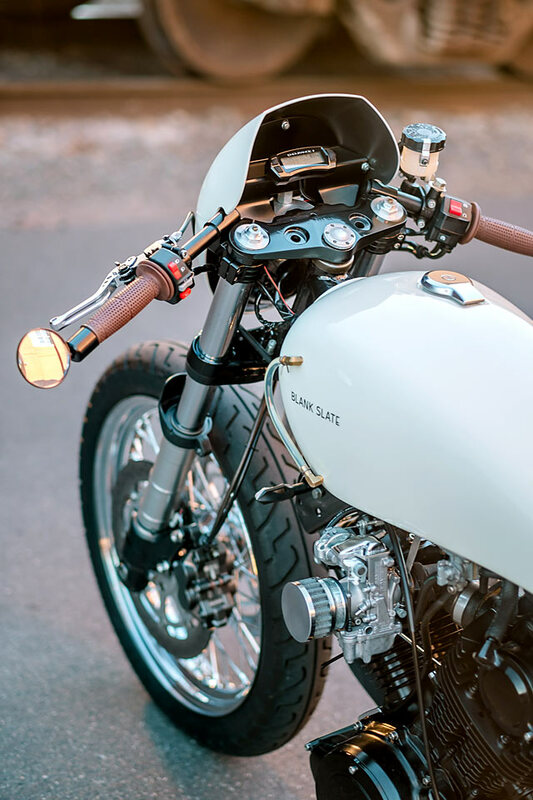 The bike has modern suspension, powerful brakes, LED lighting, real tires and digital engine management, but it still has all the soul of a 35-year-old bike. In the end, that’s probably what I like the most about it’.